If you’re disappointed by Sony lack of an intervalometer in their new Sony a7RIII or a9 like I am than Meike’s pro grip from Amazon might be a good option for you. I was down in key west the other day shooting astrophotography with some friends and really missed the internal intervalometer feature on the Sony a7RIII, because time-lapse photography can be a lot of fun at night especially if you are waiting for a specific shot or if it is cloudy out. Meike Professional Holder Pack MK-A9 Pro with Remote Control This stable and ergonomically-designed battery grip offers more useful functions. It provides more battery capacity for your camera, effectively extending your shooting time. Meanwhile, With vertical shooting function. Excellent coating made with the top-class rubber for perfect feeling. and long distance remote control, which can bring you a nice shooting experience. 2pcs NP-FZ100 Lithium batteries can be put into the grip, extending your shooting time. With vertical shooting function. Excellent coating made with the top-class rubber for perfect feeling. Adopts 2.4GHz wireless channel and FSK signal mode. The max distance for remote control can reach to about 100m. 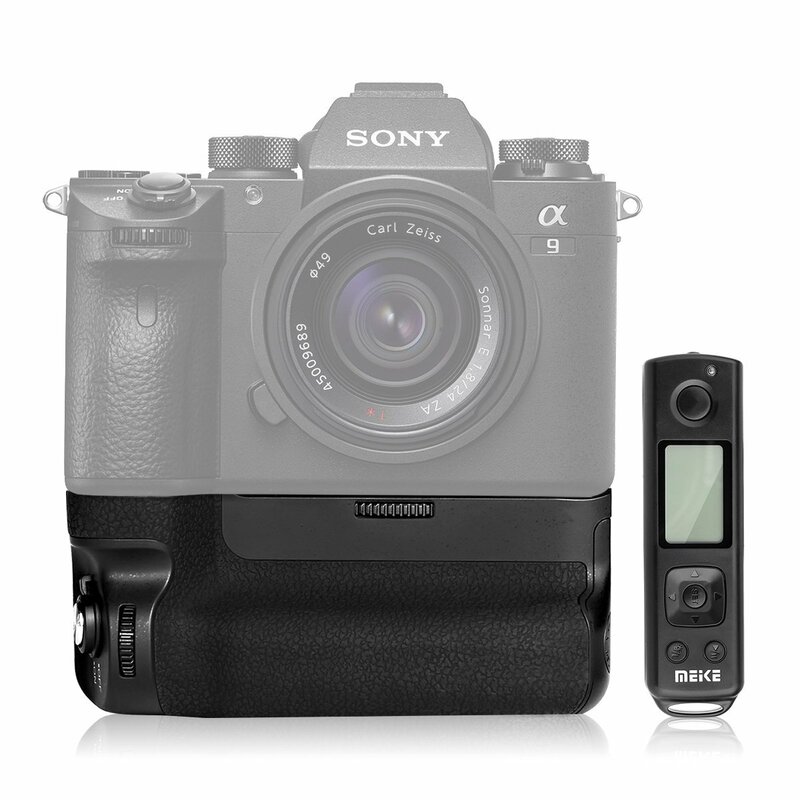 Allow for setting delay time, exposure time, time interval and number of shots. Suitable for: Sony A9 A7R III Camera. 100% Brand new. This entry was posted in Accessories, Sony a7RIII. Bookmark the permalink. Trackbacks are closed, but you can post a comment.